Vitamins & MineralsBioTech Multivitamin For Men - 60 tabl. 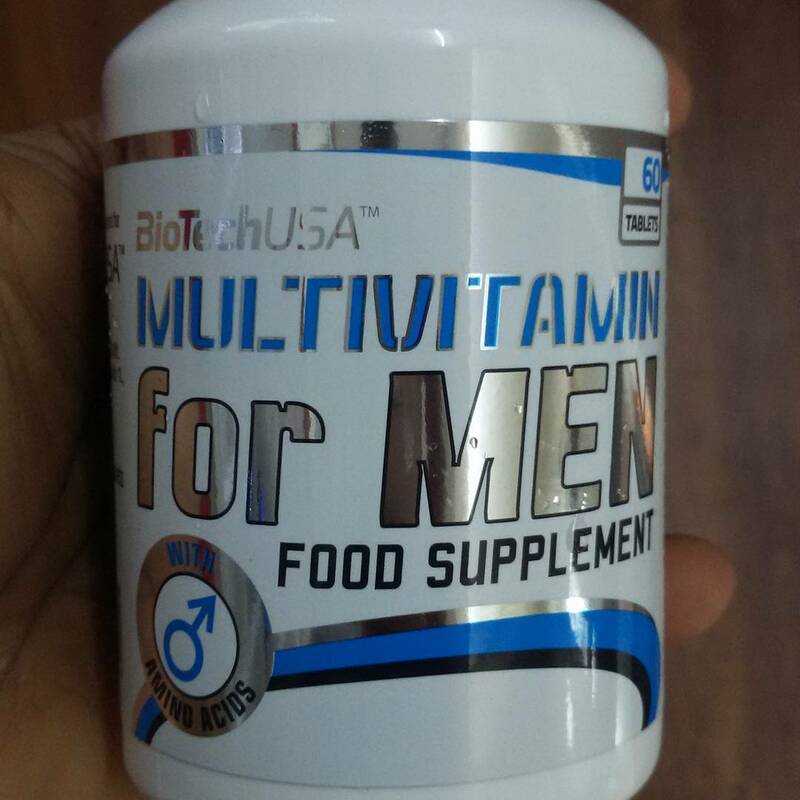 BioTech Multivitamin For Men - 60 tabl. 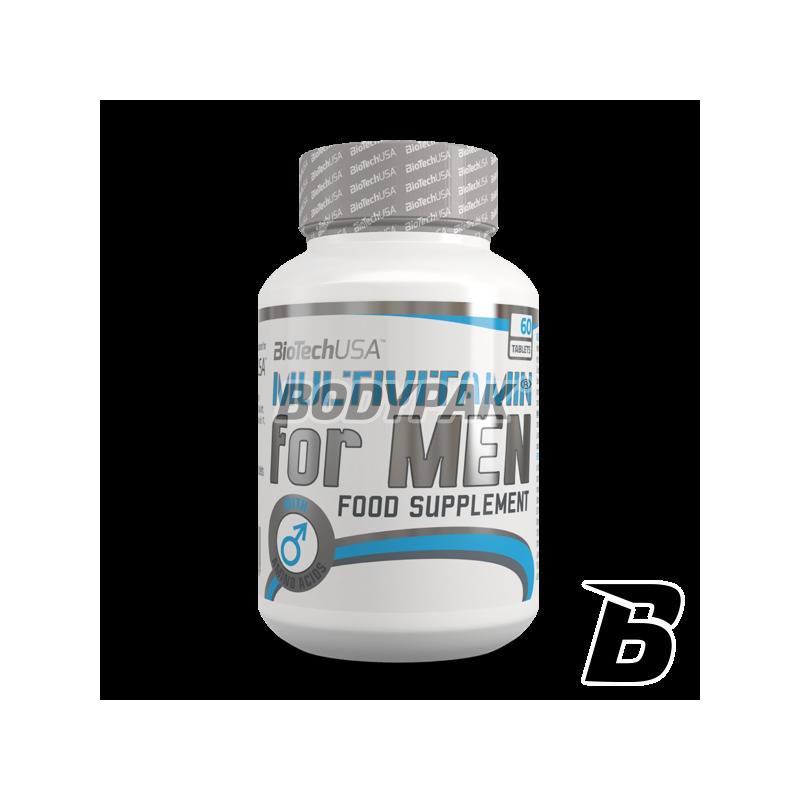 Optimal combination of minerals and vitamins for men with additional ingredients (antioxidants, amino acids) supporting both the men's physical and psycho. 78 loyalty points Your cart will total 78 points that can be converted into a voucher of 3,12 PLN. 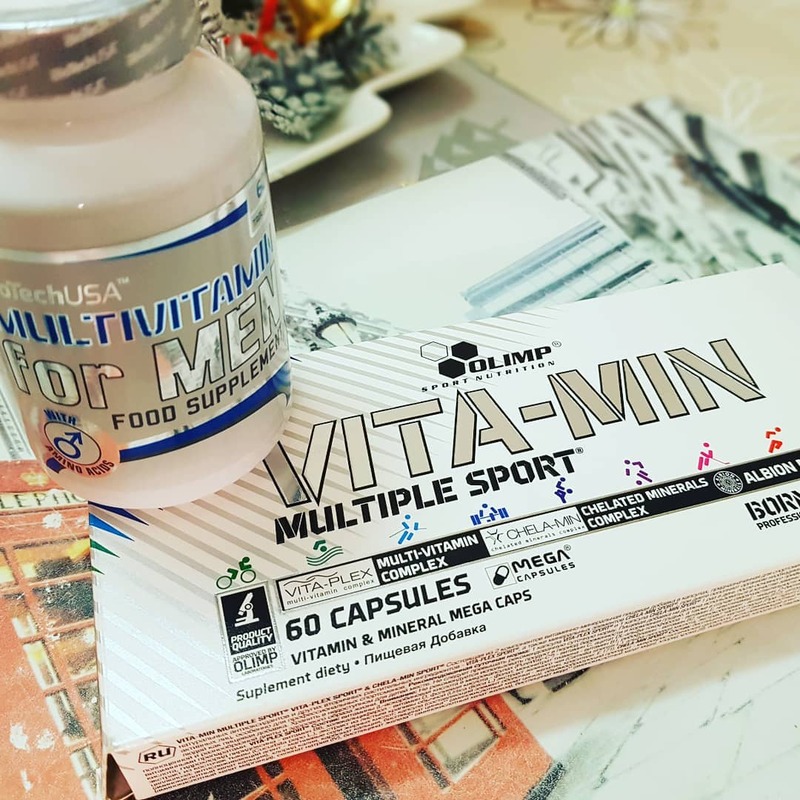 BioTech Multivitamin For Men is an optimal combination of minerals and vitamins for men with additional ingredients (antioxidants, amino acids) supporting both the men's physical and psycho. This advanced formula contains vitamin minerals, complex B vitamins, nutrients strengthening bones but also other high quality accessories! Vitamin tablets BioTech USA brand for men have the effect of pro-poor health. Prevents lack of vitamins and minerals, and also supports the ability to exercise and regeneration. 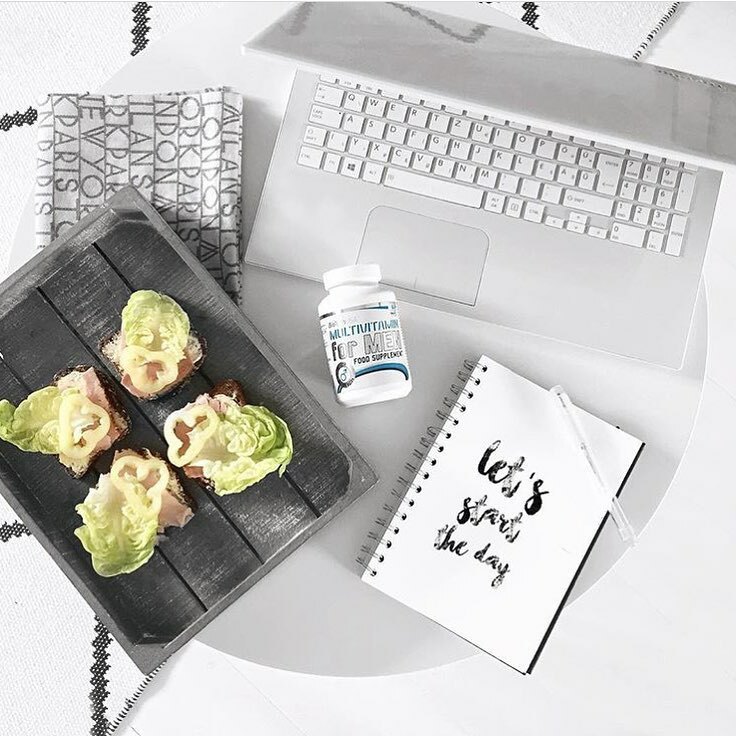 The content of vitamin B helps to improve the functioning of the nervous system, prevents fatigue and boosts energy. 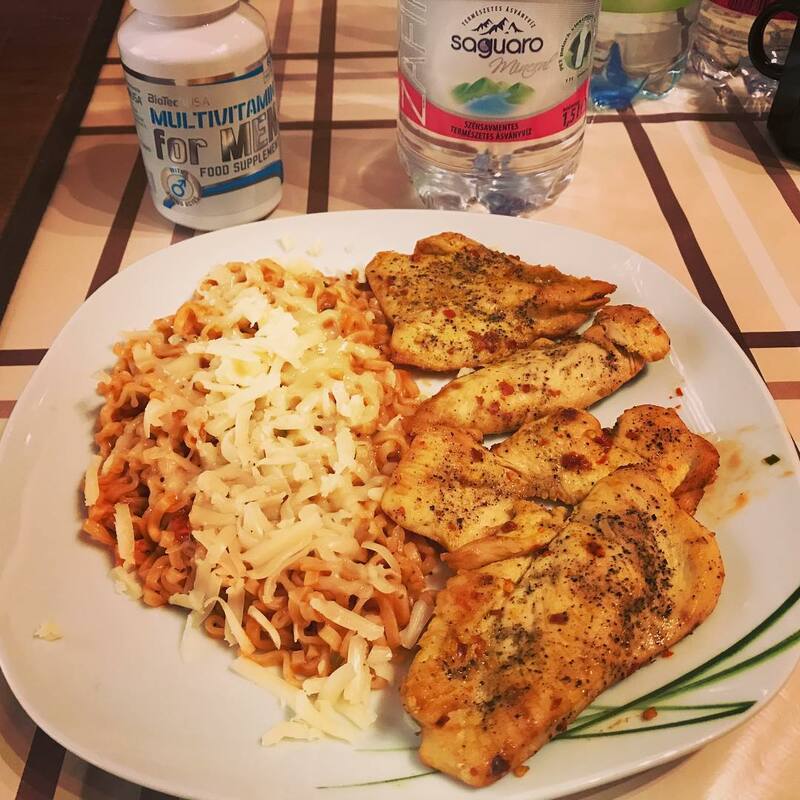 We are using only the highest quality ingredients to fully act out their beneficial effects, so you should choose a vitamin supplement for men brand BioTech, as a supplement to supplementing the diet. 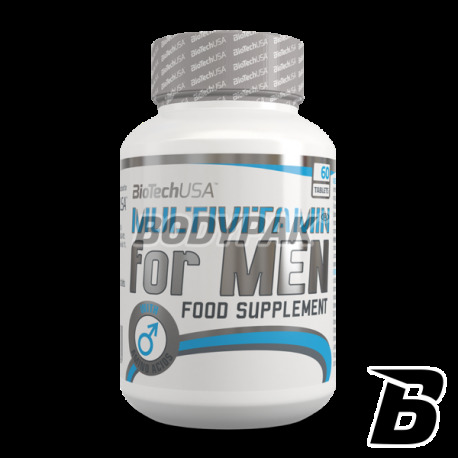 BioTech Multivitamin for Men should be used not only during the period of increased demand for data nutrients. Strong brand BioTech supplement tablets to become the perfect supplement for any man who just wants to keep healthy and fit body. The product is recommended to every man as a pro-health prevention. BioTech Multivitamin for Men should use all of the men in order to improve the well-being and improve quality of life. Also athletes during training should supplement your diet with additional vitamin and mineral supplements. Ingredients: Microcrystalline cellulose, calcium carbonate, ascorbic acid, hydroxypropyl methyl cellulose, filler, DL-alpha tocopheryl acetate, magnesium oxide, thiamine nitrate, pyridoxine hydrochloride, l- glutamine, calcium d-pantothenate, riboflavin, niacinamide, Citrus aurantum (100% fruit), alpha lipoic acid, choline tartrate, magnesium stearate (anti-caking agent), stearic acid (anti-caking agent), wheat grass (whole plant) (Tricitum aestivum 10: 1), boric acid, selenomethionine, zinc oxide, Cucumber (Vaccinium macrocarpon 10: 1), lycopene, lutein 5%, retinol acetate, inositol, green tea extract (Camellia sinesis), DL- methionine, l- Arginine, l-carnitine tartrate, taurine, silicon dioxide, copper sulfate, manganese sulphate, cyanocobalamin, cholecalciferol, chromium chloride, folic acid, biotin, potassium iodide. Swanson Selenium 100mcg - 200 kaps.